My back yard is half edged. Mom is doing “Sit and be fit” in front of the TV. Brother Steve’s wives #’s 1 & 2 (once you’re in, you’re in) are bustling in and out like bees. The dog is shedding. My wife is typing in the basement. I am sneezing. Feels like Spring. And the garden is covered with expensive horse compost. Elizabeth raised her paddle at the Hanford Challenge auction ($350) to “win” 10 bags of horse poop, because I made it sound so appealing. She succumbs to my charms. By most measures that’s a good thing, but she is a officially, now, banned from my auctions. Amy Thone and Anita Montgomery did a reading that night from Elizabeth’s play Portugal. So one bag of poop each went to them (you should have seen them beam!) I traded one bag to brother Jim for cow dung because he has some. The rest is in the vegetable garden. I’m told to lather it on the leafy stuff, but to keep it away from the fruiting plants, like tomatoes. I figure the investment might yield $7.00 worth of increased production. I finished a dark short story I horsed around with for years, that I am quite fond of. Not sure what to do with it. I hear it’s not quite as funny as I think it is, but I had a great time writing it. I am working on something new that isn’t composting easily, reeks of trying, isn’t about s—, and from which nothing sprouts. Like inert soil. I remind myself that no one need ever read it. But please read the following, which is bursting with new life! The Freehold-month-long-Improv-Intensive is back! Tell people! @ Freehold 2222 2nd Avenue, 2nd Floor, in Bell Town. The simple principles of improv will reach into your bones and take hold! All levels of experience welcome, and it culminates in two improvised performances! It’s challenging, fun, and transformative in obvious and subtle ways. Lots of incredible people have been through this training! 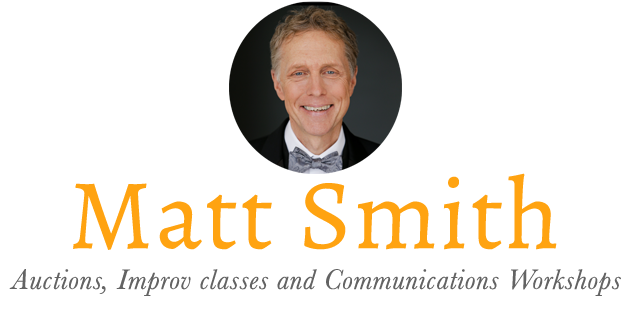 Graduates use their improv training in their work as trainers, nurses, film & TV actors, parents, congressmen, doctors, spouses, executives, negotiators, real estate agents, pastors, movie producers, therapists, waiters and improv actors. Teacher? Attorney? Need accreditation? Talk to Zoe at Freehold. You need to do this! Please spread the word! We need twelve people! Much more reasonable! Take this first to see if you really want to sign up for the insane intensive. It’s for everyone, and it’s a blast. This foundation class focuses on spontaneity. Replace that which keeps you rigid with advanced flexibility. So you can be better. At everything. It’s fun and fascinating. Call me or email me to sign up. 206-551-4622. Hello writers, storytellers, teachers, actors, or “others” reaching for scintillating material… interested in weaving stories that’ll make your audience lean in? Feeling blocked or squirmy? Then take this entirely narrative-focused class where you’ll jump into exercises that’ll put you in the mindset to uncover good, sticky narrative where it hides. It’s not just for writers! Call me or email me to sign up. 206-551-4622. We are “this close” to being finished with the film. We have a big decision to make in the next few days: Do we change the title? The strongest contender is, Trouble Maker. I had a few gems that were abruptly dismissed: Syphilis is Safe, To Make the Hair Grow Thicker, and Softly, Silently. My mom came up with That was Then. What do you think? Got a title? Shall we leave it the way it is? Let me know what you think, or please share it with the people on the Nuns Facebook Page. You know that you’ve made it when they feature you and your film in Panther Tracks, the Seattle Prep Alumni magazine. It hasn’t happened yet, so I can’t get too self satisfied, but, well, there, I’ve said it. It might happen. I’m also talking to City Arts Magazine next week, so look for that. Hope I don’t say something too fascinating. The film looks great. Each iteration improves it. My fantasy camp continues. We are waiting to hear from a few festivals. I’ll tell you when we get into one. ‘Tis the season! I’m doing one or two a week, mostly repeaters, which I really enjoy. I am thinking about writing a mystery that takes place at an auction. Right? I’m open to ideas as to what could happen. Thanks! Enjoy Spring. Take a workshop. Any workshop. I took one last month from Elicia Wickstead and dug it. The secret word to let me know that you read to the end is…That Was Then. If you know anyone who would like to receive this newsletter, please ask them to email me: Matt@matt-smith.net Thanks!